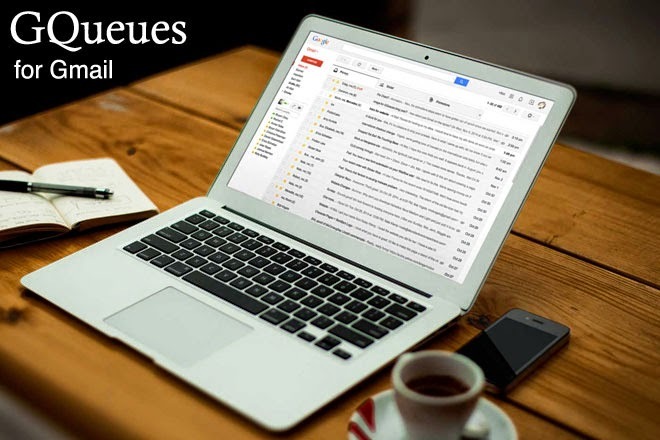 We are happy to share one of the most exciting new GQueues features we’ve ever launched: GQueues for Gmail. Since we were named a Google for Work Premier Partner earlier this year, we’ve been heads-down working on new integrated product features that allow our individual and business users to achieve higher levels of connection between GQueues and other Google services. Our Google Calendar integration got an update earlier this year. Attachments with Google Drive Integration launched in August, and the Gmail integration adds even more power across Google Apps. We created the new feature as a Chrome Extension, which you can get here or through the Chrome Web Store. Create a new task directly from Gmail, automatically linking to, or attaching the relevant email inside a new task and enabling you to modify the task name and details. View emails attached to a task inside GQueues itself, saving time by avoiding long searches for related messages, or having to open a new window. GQueues for Gmail is a powerful new tool that will make you and your team even more efficient and organized. The extension is only available to users with a paid subscription, but everyone can test it out with a 2-week free trial (even if a free trial has already been used in the past). Setting up GQueues for Gmail is simple. Visit this page to install the new extension and you’ll be taking control of your email in minutes. Our goal is to continually add new functionality that makes our current users even more productive. As always, we look forward to your feedback on this new feature and to your suggestions for the next one. And, if you get a moment, share the tool that makes your home or work life easier with your friends. Just click to tweet the feature now. THANK YOU! Love, love love this new feature. It's really changing my life and my workday. I am now able to easily use just my calendar/GQs for my task list and stop using my email inbox as a "to do" list. I have only one glitchy thing happening: when I create a task from an email, the task correctly shows up in my GQ To Do list, but then shows up twice in my calendar. If I append/change the description slightly in GQs, just one will update in calendar and I delete the second one. Any ideas? Do I have a setting wrong? Second - I'd be thrilled to see something (color? symbol?) that shows on my calendar if a task is assigned or mine. One bug on the extension - if you click off the extension pop up box (to scroll, etc), you lose your work. Yes, if you click the "Cancel" button on the extension, then any info you entered will not be retained. I'll look at making the popup window movable so you can drag it around if you need to see info beneath it. Would it be possible to offer the ability to both ATTACH and LINK to the email?? Personally, for my own use, I would always rather be able to open the actual gmail but when I am mobile on my iphone or ipad the link will not do that. So for mobile having the ability to view the email would be best. Hi John - Yes, you can do both. Just check both boxes - for LINK and ATTACH when creating the task. Cameron - this a GREAT feature. It has really streamlined my workflow. Thank for your continued efforts at making this system better and better. Terrific! Glad to hear it's been helpful, Mike! Now that I've been using it for a few weeks, I like the method of entry in Gmail so much I wish it were an option within GQz itself. I'd like to see it replace "Quick Add" (or perhaps have it as an option at least) within GQz. Thanks again!